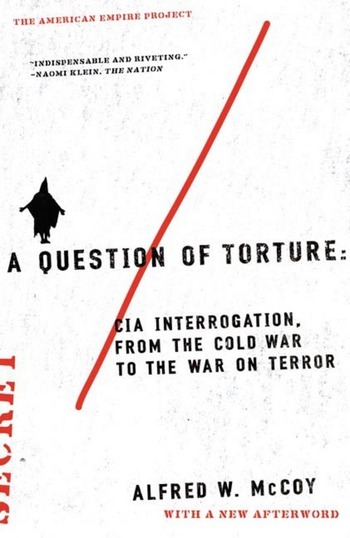 In this revelatory account of the CIA's fifty-year effort to develop new forms of torture, historian Alfred W. McCoy locates the deep roots of recent scandals at Abu Ghraib and Guantánamo in a long-standing, covert program of interrogation. A Question of Torture investigates the CIA's practice of "sensory deprivation" and "self-inflicted pain," in which techniques including isolation, hooding, hours of standing, and manipulation of time assault the victim's senses and destroy the basis of personal identity. McCoy traces the spread of these practices across the globe, from Vietnam to Iran to Central America, and argues that after 9/11, psychological torture became the weapon of choice in the CIA's global prisons, reinforced by "rendition" of detainees to "torture-friendly" countries. Finally, McCoy shows that information extracted by coercion is worthless, making a strong case for the FBI's legal methods of interrogation. Wisconsin-Madison. He is the author of numerous books and articles, including The Politics of Heroin in Southeast Asia and Closer Than Brothers.